Heninel is a village and commune in the Department of the Pas-de-Calais, 10 kilometres south-east of Arras and 3 kilometres south of the straight main road from Arras to Cambrai. 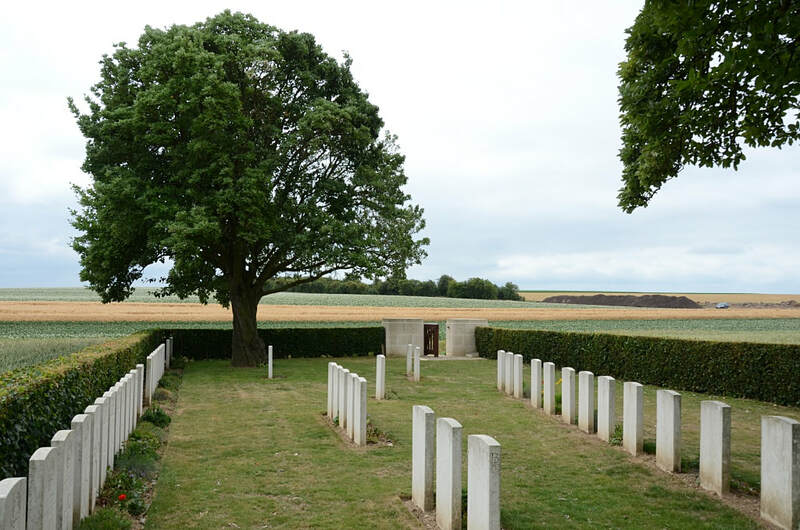 Rookery British Cemetery is 1.5 kilometres from Heninel village, 165 metres north-east of the road to Fontaine-les-Croisilles opposite Cuckoo Passage Cemetery. Heninel village was captured in a snowstorm on 12 April 1917 by the 56th (London) and 21st Division and the 50th (Northumbrian) Division, advancing from Heninel on the two following days, captured Wancourt Tower. 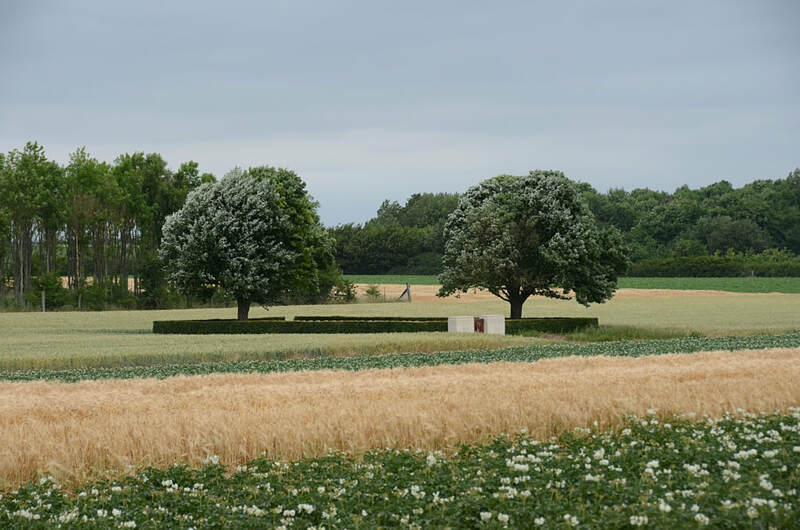 Rookery British Cemetery (named from a group of trenches) was made by the 18th and 50th Division Burial Officers in April-June 1917 and used until November 1917. 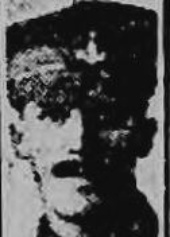 Two further burials were made in August 1918. 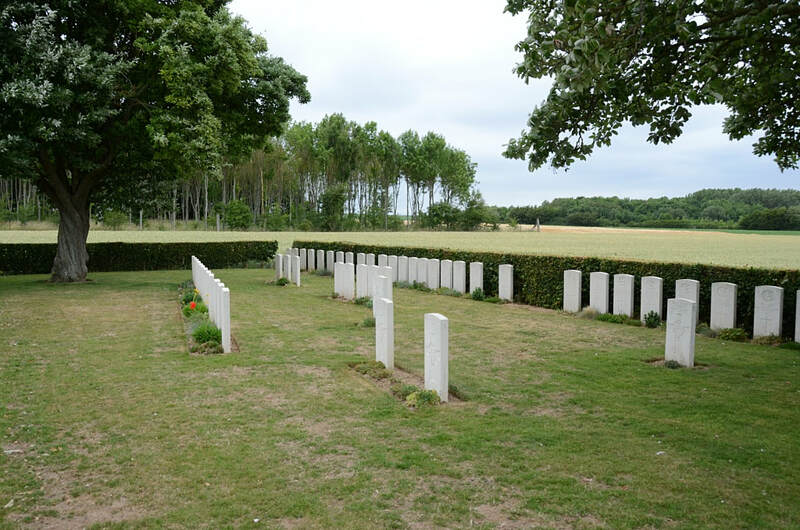 The cemetery contains 55 First World War burials, one of which is unidentified. Casualty Details: UK 55, Total Burials: 55.